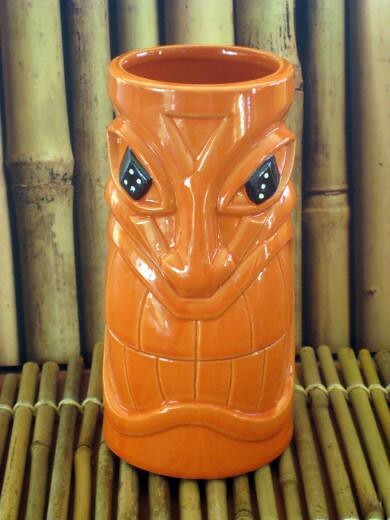 Tiki mugs have gone way beyond ersatz portrayals of Polynesian gods. 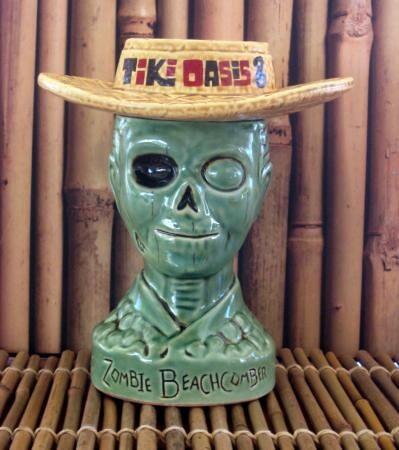 Thanks to creative companies like Tiki Farm and Munktiki there are now ceramics in all sorts of shapes and styles. 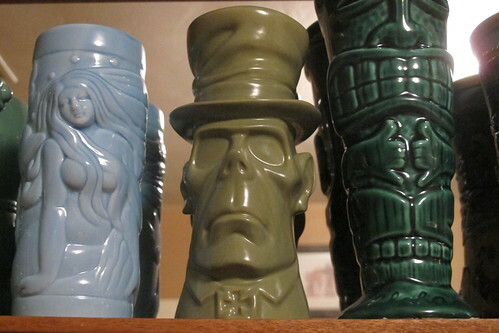 In the spirit of Halloween, I present this round-up of a few of my favorite spooktacular spirits vessels. 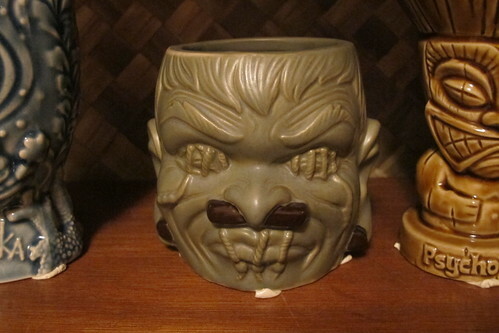 Trader Sam’s tiki bar at the Disneyland Hotel contains many references to Adventureland attractions like The Enchanted Tiki Room, Jungle Cruise and Indiana Jones, but this creepy collectible bears a resemblance to the Hatbox Ghost/tall Hitchhiking Ghost from the Haunted Mansion. 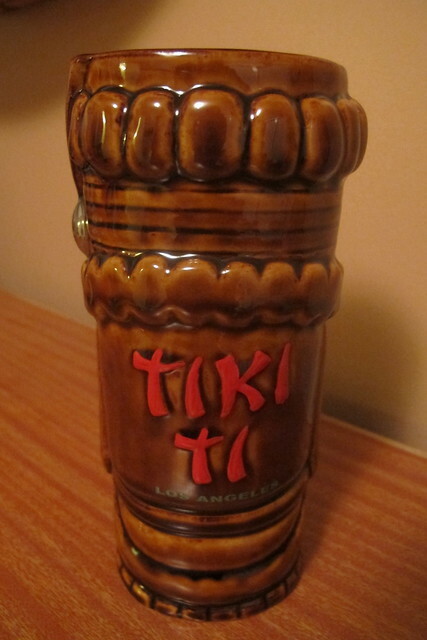 Manufactured by Tiki Farm, it made its debut in 2012 but is still available as a souvenir when you order the Shrunken Zombie Head cocktail. 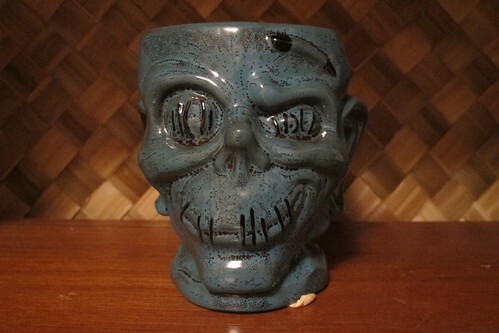 Do you have a favorite tiki mug you’ll be imbibing from this All Hallows’ Eve? 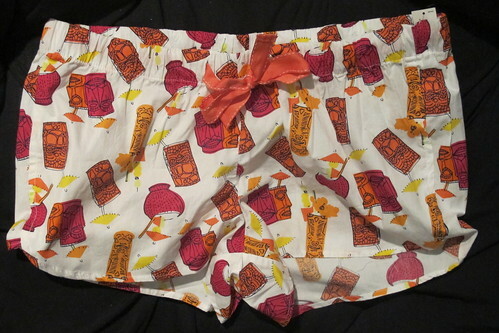 Who Wears Short (Tiki) Shorts? No need for dudes to feel left out, though. 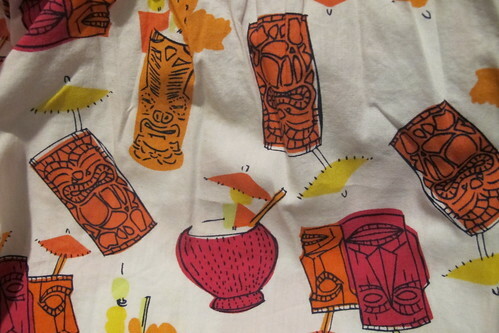 Old Navy has you covered too with these tiki boxers ($8.50). 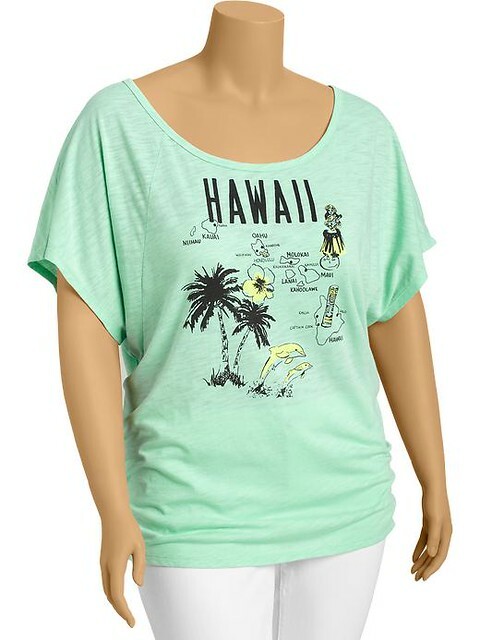 (Also available in blue hibiscus and hula girl prints.) Pretty sure these were the same ones they offered last year. 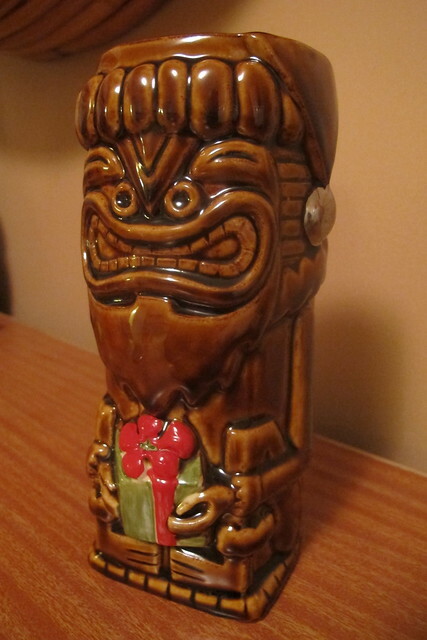 I also discovered this women’s Hawaii tee ($16.94) — plus-size only apparently — with a tiki that looks like a rip-off of a Mai Tiki. (R.I.P. Wayne Coombs.) 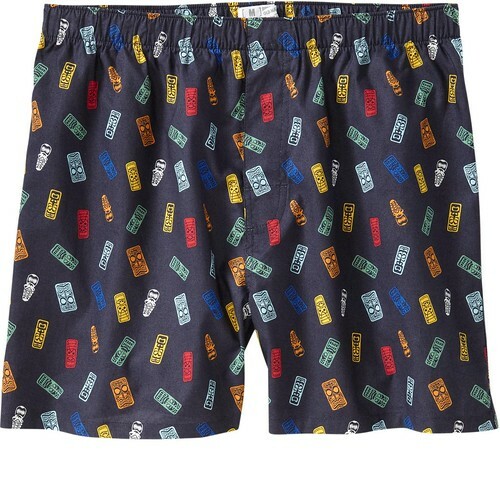 Old Navy also stocks men’s Hawaiian shirts, but this year’s prints are not that special. Take note of that, anonymous and probably imaginary Gap Inc. employee reading this post!